So we have our pretty fabric now serving as the back of the bookcase on my side, which I love. But we have to do something about this beast. After a lot of sketching, measuring and planning, I decided to turn this into a multi-use activity center, with a chalk board, a couple magnet boards and a flannel board. The magnet boards were from IKEA so they were a set size that I had to work around. From their measurements I created the size of the other boards, and used 5 1/4” moulding to trim it all out. After many cuts at Home Depot again, we were ready to assemble. Enter the hubby again, and a LOT of panel and moulding adhesive. Ready for another collage? Okay so there are a few steps in here I didn’t illustrate too well, but I’ll explain as I go. NOT SHOWN: I made the chalkboard out of a piece of 2 x 4 Hardboard from Home Depot. It was like six bucks. I bought a can of chalkboard paint and had them tint it pea green, then painted the hardboard with two coats of the chalkboard paint. 1) We measured 5 1/4” in from each side of the bookcase to know where to place the chalkboard. We used small tack nails to nail it in at each corner and in the middle. 2) We placed the rest of our components to make sure they looked like they were going to fit. The purchased magnet boards would be flanking the flannel board on bottom. NOT SHOWN: I made the flannel board out of some plywood I had cut to size. I attached one layer of batting to the plywood using spray adhesive, and then covered it with some fleece I purchased at JoAnn on sale for $2.99 a yard. I only needed 1/3 yard so it was pretty inexpensive. 3) After ensuring our measurements were correct, we placed the flannel board centered on the bottom of the bookcase and drilled more pilot holes in each corner. 4) Using 1 1/2” wood screws again, we screwed the flannel board into the plywood backing. 5) We used an all-purpose adhesive in our caulking gun to attach the magnet boards. They have a nice lip on either side on the back, so this worked perfectly. 6) After the boards were all attached it was time to trim it out. We used panel and moulding adhesive for all the trim pieces. 7) With the side pieces attached, we attached the middle divider. This was a 3 1/2” piece of casing. I wanted to divide the boards up, and it served as a cover-up for those ugly tack nails in the chalk board. 9) …screwed the top trim piece into those blocks. It worked out perfectly. I wish I could say I had planned it. 10) Almost done! So this required another trip to Home Depot, because I hadn’t thought about the ugly ugly side of this bookcase when planning the back of it. We now had fabric showing out the side, as well as the unfinished side of the top moulding. I went and bought three pieces of pre-finished shoe moulding that was the perfect size to cover up those unsightly seams. 11) I used my trusty panel adhesive, as well as a few finish nails this time and applied the shoe mould to the sides of the bookcase. 12) I also had a little gap at the top of the bookcase, only about 1/2” but I didn’t like the top moulding not being flush with the top of the bookcase. I used the same shoe mould to finish this off. 13) As you can see, my caulking skills are lacking, but luckily it dries clear. This made the whole manufactured back of my bookcase the exact same finished height as the actual bookcase. Having never done anything like this before, I can’t express how happy I am with it! I still see all the imperfections, but I think it turned out pretty clean. And the best part? It works! She loves it! I had her cousin over to test it too, and they played on that chalkboard forever! I also got her magnetic princess dress-up dolls, so that helps keep her busy. Now I just need to get some flannel board stories and we can do story time here too. I can’t wait to see how the functionality of it evolves as she gets bigger. For now, it’s the perfect solution to getting her away from the TV and getting us into a crafting space closer together. Next week, I’ll show whole finished craft area, including (dun-dun-duuun) the other side of the bookcase, where all my scrapbook and sewing supplies are! Stay tuned! I like to think of myself as a creative person. There’s little more that excites me than taking nothing and making something amazing out of it. I guess that’s why I love Interior Design. Where some people might see four blank builder’s beige walls, I see boundless potential. It also contributes to my love of writing. What was once a blank word document can be turned into 122 pages full of another world, rich with its own characters and conflicts. But what I’ve realized lately is how infrequently we are given complete free reign when it comes to creative pursuits. There are almost always constraints, or boundaries, or rules we have to stay within while being creative. Take, for example, the show Chopped. Bear with me here. I’m a Food Network junkie and Chopped is one of my favorite shows of all time. If you’re not familiar with it, it’s basically this: four contestants are given a basket of secret ingredients and a time limit. They HAVE to use every ingredient in the basket, and be done in 20-30 minutes (depending on the round), but other than that there are no rules. Fry, saute, bake, sear, char, grill, whatever. There are three rounds, and after each round one contestant is chopped until the dessert round where two of them face off for the win. It amazes me what these people can do! I mean I see them take a basket of goat brains and fruit loops and they make something amazing that these highly respected chef judges rave over. But I find myself wondering; if they were put in the kitchen and told to make any appetizer they wanted in any amount of time they wanted, would they come up with dishes as amazing? Or would they flounder? Sometimes when we’re given endless decisions, we get stuck. We don’t know what to do, and it feels like all creativity is lost. Constraints can be good. They guide us. They protect us in a way. They keep us focused. Rarely do I get to design a space without thinking about the budget constraints, the time constraints, the labor constraints, etc. Rarely does a writer get the go-ahead from their publisher to just write “whatever” and have their whole-hearted support (I’m assuming, as I do not have a publisher, but it doesn’t seem like it makes good business sense…). And while I’m no cook, I’ve watched enough food network to know that there are conventional restraints that you just don’t break; fish with cheese is one of them. So they say. So anyway, I guess what I’m saying is maybe creativity isn’t just making something out of nothing; it’s making something exciting under a boring ol’ set of rules. It’s finding a way to squeeze your word-count down while maintaining your story. It’s finagling your paint colors to please the public and your boss. And it’s mixing the right ingredients to make fruit-loop crusted goat brains a restaurant-quality meal. What do you think? Do constraints help or hinder your creative process? I promised some projects here and this first one is probably the one I’m most excited about. You may remember back when I went on an IKEA shopping spree in anticipation of all the changes that are happening around here. Well after several months of boxes sitting in my living room, and then a couple weeks of assembling eleven boxes of IKEA furniture and other rearranging, we finally got our sweet little Expedit bookshelf and desk put together and placed in our room. We wanted to find a way to cover the back of the bookcase and then turn it into a fun activity area for kids using magnet boards, chalk board, and a homemade felt board. 1) Cover your work area with plastic or a tarp and lay out your plywood with your fabric next to it. 2) Use spray adhesive to cover the entire face of the plywood. This will make sure your fabric doesn’t budge once it’s in place. 3) Lay the fabric lightly over the sticky plywood surface. Starting at one end, smooth out the fabric from the center to the sides. You don’t want any creases. 4) Trim excess fabric around edges. For a good wrap you want to leave about 2” to give yourself enough fabric to staple. As you can see, we weren’t precise here. It’s all going to be covered up in the end anyway. But just for a guideline. 5) Using a staple gun, pull the fabric tight around the edge and start stapling. 6) Our staple gun didn’t always put the staples all the way in, so we went around with a hammer and made sure they were all flush with the plywood. 7) Stand your beautiful upholstered panel up next to the bookcase where it is to be applied. I just wanted to stare at it’s beauty for a second before I hid it. 8) Use a small drill bit to drill pilot holes. We did one in each corner and two on each side of the long sides. 9) Screw 1” wood screws into each pilot hole. You could go 1 1/4” on this particular bookcase, because we were screwing into the thicker edge pieces, but just be careful to not angle your screws. You don’t want anything poking through on the other side. 10) Voila! A newly-backed bookcase! Pretty right? Okay…not yet. Does anyone else feel like that about January? It’s like a big long Monday after December’s month full of Saturdays. The Hubby’s back at work 5 days a week, the girl’s back to her normal babysitting schedule and I’m trying to catch up with life. But honestly, it’s kind of a relief. I’m a very schedule-oriented person, so while the holidays were amazing and fun and wonderful, I’m kind of looking forward to some Mondays. So what does this year hold for my Three Passions? First of all, I have a lot of exciting design posts coming up! The big girl room is almost done! Just a few accessories and decorations to add, as well as some window panels to make (on my new sewing machine from Santa! It’s so complicated, I don’t know how to use it yet, but I will! ), and then it’s done! And it’s looking so good. Also, I’ve been doing an Ikea Hack of my own for my new craft area, and I’m really stoked about how it’s turning out. I’m transforming a normal bookcase into a kid craft heaven. I hope. Professionally, I got to take a quick jaunt to Texas this last week (as in, we flew in Tuesday morning and flew out Wednesday night) to see the progress of our latest Noah’s building and it is breathtaking! (Not just from the paint fumes, or the fact that I’m winded after walking any amount of time because I’m 31 weeks pregnant…) I took lots of pictures and am excited to show our progress. I was so glad to go, because we’re scheduled to finish mid to late February, and I will not be going anywhere but to the hospital at that point with my due date in early March. As for writing, I’m pretty sure my head won’t be clear enough to edit or write anything until after baby comes. But I am keeping a journal of ideas. I still have my shiny idea that I was going to work on for NaNoWriMo, so I know that will be my next project. But this year, I’m really going to focus on editing book two and sending it out there. I really think it’s a story that needs to be told. So while this is pushed to the back for now, it’s definitely still on my mind. And last of all, gaming… What to say? We cancelled our WoW accounts for now, because my husband’s in the last stretch of school so all his spare time is spent on that, and I’m unable to focus on virtual quests right now. But I have been getting back into the Sims, and I have a review for the Sims3 Pets in my head that I want to throw out here sometime soon. Basically, it’s way better than I thought it would be. So that’s it! I’m excited for 2012! A lot is happening for our little family and with my little job and our little house. 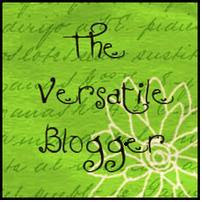 I’m so grateful for all I gained in 2011, especially this blog! I can’t believe I started it in May of last year. I was so scared, and while I haven’t quite found my footing, I am so inspired by all of the wonderful people I’ve met through this blog. Sometimes I feel like I’m letting everyone down by my inconsistency, but I hope not. I hope you’re still with me. And I’m really going to try to get back to my blog schedule this year. Happy New Year and Happy Monday…today, tomorrow and all of January!